Just last month, a Bugatti Chiron went from zero to 249 mph and back to zero in an incredible 41.96 seconds. On Sunday, a Koenigsegg Agera RS broke that record, performing the same feat in 36.44 seconds. 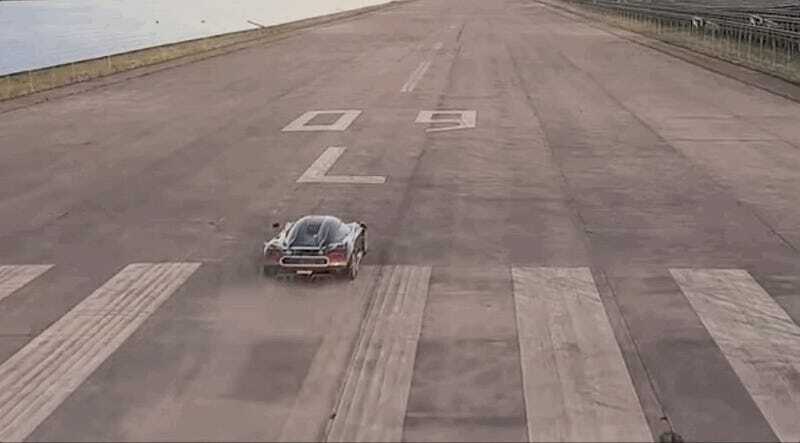 The Koenigsegg broke the record at an airfield in Vandel, Denmark. Here’s the video they published Thursday, documenting the act, replete with hype music and what at first seems like a teaser before the (rather calm, frankly) cockpit footage. “0 - 400 - OMG!” indeed.